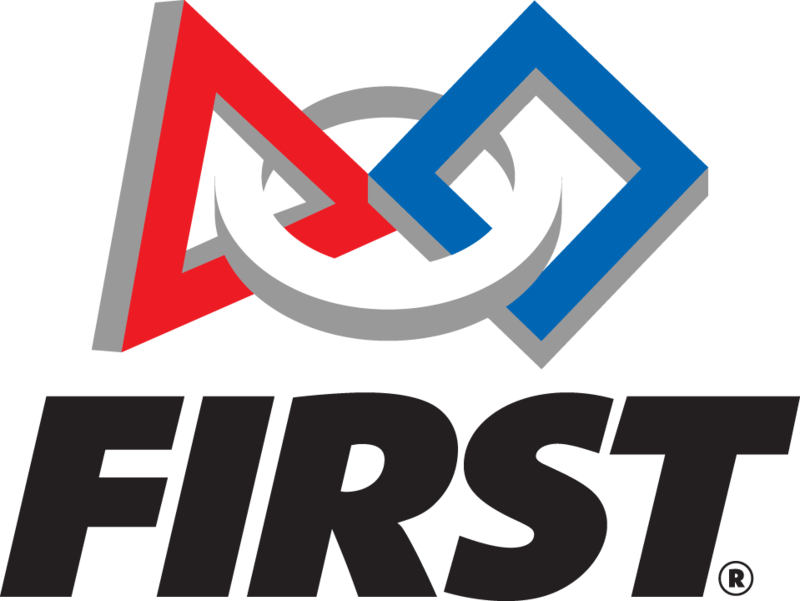 Air Pork One, designed for the 2017 FIRST Robotics Competition challenge “STEAMWORKS”, is Exploding Bacon’s 12th robot. Air Pork One is a dedicated gearing robot with a climber, getting gears from the human player station and effectively delivering them to the airship. 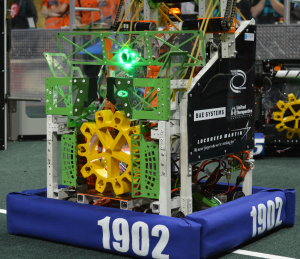 Gears are retained and deployed using pneumatic gear flaps on the front of the robot. The development of Air Pork One led to numerous firsts within our team. He is the first Exploding Bacon robot to ever have an omni-directional drivetrain, having a fast, 6-CIM holonomic drive. Additionally, Air Pork One actually has a twin: “Air Pork Too”, Exploding Bacon’s first identical practice robot. Air Pork One is also the first Exploding Bacon robot to successfully implement vision tracking, using it to score gears onto any of the airship’s pegs during competition. Air Pork One became a Regional Finalist at the Bayou Regional; this was the first time since our 2013 season that an Exploding Bacon robot played in the finals of an official competition.